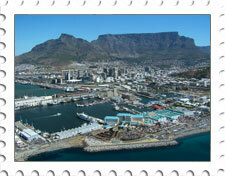 Ezizwe Travel and Tours offers guided Township Tours, as well as day tours in and around Cape Town. With Ezizwe, you can visit the Cape Winelands, Cape Point, Cape Town City and experience a Cape Town Township in a personal tour with dedicated tour guide. 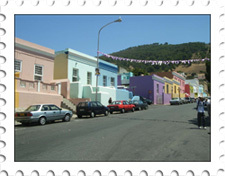 The Cultural Township Experience offers tourists a unique opportunity to visit the vibrant township communities, while the knowledgeable tour guide provides commentary on the history of these townships. 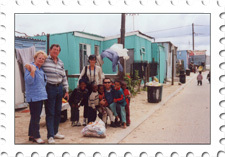 You’ll visit several communities, and experience a taste of township life. Cape Town is a city of contrasts, and we also offer personalised tours to the famous Cape Winelands, where you can visit lush vineyards and taste and purchase wines, cheeses and other local products. We have Cape Point tours, driving to the historic Cape Point Nature Reserve, and taking in the majestic Cape Coastal Scenery. Spend a day with a guide travelling around the cosmopolitan melting pot that is the Cape Town City Centre. Ezizwe Travel and Tours is a small, wholly black-owned enterprise. We pride ourselves in our efficient and personalised service, and knowledgeable tours. All tours are kept small, and are in an airconditioned minibus. Keep reading for more information on our various tours, or contact us now to make a booking. Copyright © 2019 Ezizwe Travel and Tours. All rights reserved. Created and hosted by Dwakn.